In an email sent out this morning, Pioneer Electronics has announced its 2014 lineup of devices. There are new in-dash multimedia DVD receivers, CD receivers, amplifiers and speakers coming next year. There's no mention of an AppRadio 4 though. A complete list of devices is below the break along with excerpted details about new enhancements to the in-car entertainment experience and pricing information. 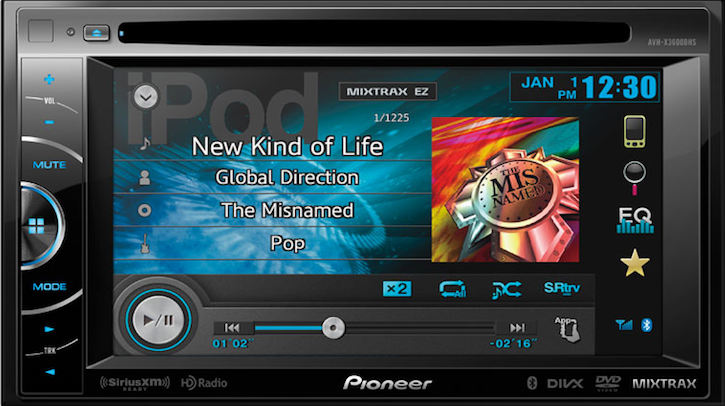 All these have improved technology including MIXTRAX Virtual DJ, DVD/CD media playback, MirrorLink connectivity, improved AppRadio Mode for iPhone 5, Pandora station creation, SiriusXM Satellite Radio compatibility, built-in HD Radio and USB connectivity. In addition there is Bluetooth wireless connectivity, Android Media Transfer Protocol, wireless iPod Control and Siri Eyes Free functionality. These offer smartphone connectivity in lieu of CD playback. Both models offer Pandora Internet Radio playback and control, media app control, MIXTRAX, Siri Eyes Free functionality, expanded Bluetooth wireless connectivity and the ability to directly control and play music stored on many of today's popular smartphones. 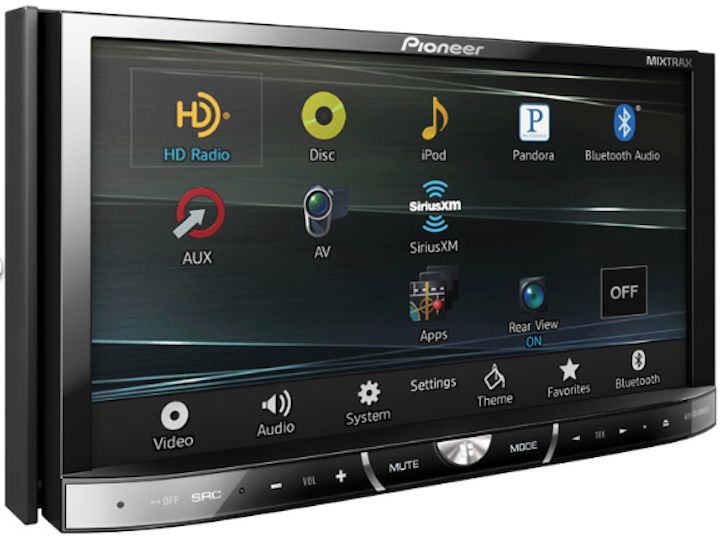 These are single CD receivers with new cosmetic design, improved illumination settings and enhanced smartphone connectivity with SiriusXM Satellite Radio compatibility, built-in HD Radio and/or built-in Bluetooth. This new 12-inch dual 4-ohm voice coil subwoofer is rated at 600 Watts (RMS) / 2000 Watts (Max). It will be available in November. All these amps have been completely redesigned to fit in a smaller chassis to take up less space in the vehicle. These will be priced between $80 to $160. 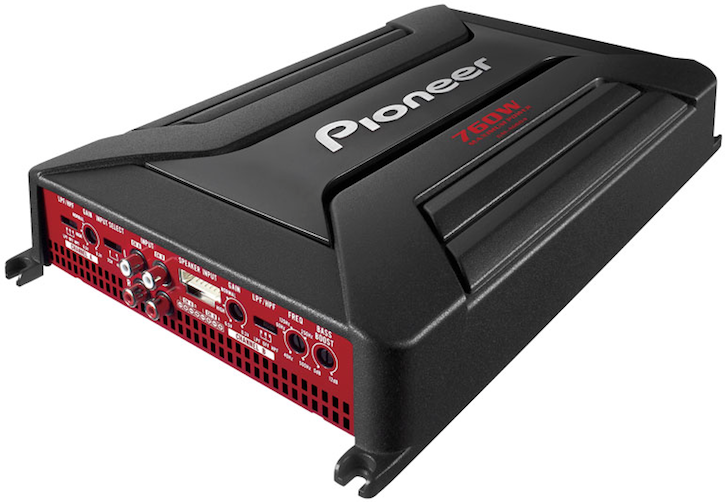 Full details about each product can be obtained from Pioneer Electronics' website.